In an attempt to actually write about things people want to read about (ALWAYS VITAL), I put out a general query yesterday to the Twitterverse (Twitsphere? Twitterland?) soliciting topics to write about. I got so many good ones I've decided to start up a new, semi-regular blog series! It goes like this: have a question about writing or publishing? 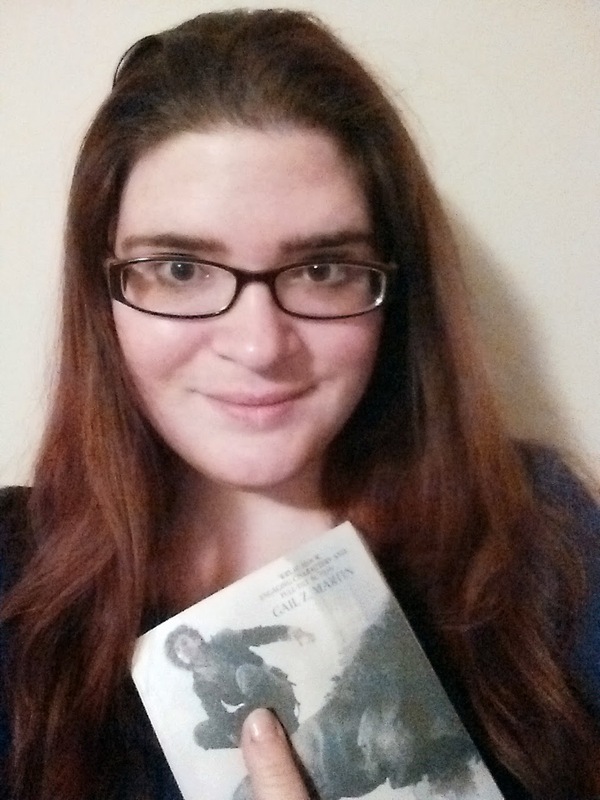 Ask me on Twitter (@Rachel_Aaron) or through my site and I'll answer them here on the blog to the best of my ability. And if I can't answer them, I'll do my best to point you at someone who can. It'll be sort of like my NaNoWriMo Thread, but in blog format and not quite so rushed. Sound fun? Ok, let's do some questions! @erchristensen asks: How do you determine whether an idea is worth a short story or novel? Or if it should be abandoned/saved for later? This is a touchy question for me, and a really, really vital one to nail as early as possible. You don't want to waste time and energy on a story that can't stand to completion. Generally speaking, though, any idea that can make it through my plotting process is one that can take the stress of bookdom. But even earlier than that, when I'm on Step 0 (the "decide if I'm going to write this story" step), I sit down and just think about the story. Am I really excited about it? Does the idea of writing down all kinds of wacky back story make me excited or bored? Do I yack my husband's ear off about it? The yacking part is actually the most important. I've learned over the years that staying power the surest indicator of an idea's quality. If a story sticks with you over the long haul, if you find yourself thinking of scenes or imagining character interactions even when you're supposed to be other things, that's the surest sign that you've got a winner. I should note though that I NEVER completely throw out ideas. I am a story hoarder! Even if a plot/character/world can't stand on its own, you can always cannibalize it later for the good pieces and put them into other works. I actually have a giant Google Doc that's nothing but short descriptions of ideas I want to put into future stories. Creativity is never wasted, you never know when that weird, not quite baked idea will turn out to be just what you need on a future project. I believe character creation and world building are the same animal in different guises. In a really good book, the world itself is a character. It has personality, history, traits, quirks, all that good stuff. Most writing books agree that the most important thing about creating a character is finding out what they want. I totally believe that, but in addition to motivation, I also try to figure out what a character loves, what they hate, what irritates them on a daily basis. This also goes for worlds creation, I try to figure out where the world is going, what are the major problems facing it, and how does the world react. It's kind of silly to think of your world as having a motivation, but I always try to make sure my settings are changing, going places. This could be something as simple as a border war or something as huge as The End Of The World. Most important with both worlds and characters though is that they must be internally consistent. This doesn't mean acting predictably, but nothing happens without cause and no one does something for no reason. Novels are just long chains of cause and effect. The first step to creating believable worlds and characters is to understand them inside and out, to know how they react to change and why. Color in their details, get to know them like friends or a favorite place, and then put them in trouble and watch them squirm. When these things all come together, you can't help but end up with something amazing. Also, and this is a bit of writing voodoo, but I try to hear my character's voices. Lots of times, if I'm having trouble with a character, I'll just sit down and spend some time with them, ask them questions, that sort of thing. This is especially important if the character is very different from myself (like Nico was) and I'm having trouble imagining how they react. Same goes for worlds. If my world feels flat or if I can't think of what should happen, I stop everything and go spend some time in my imaginary places. When I can feel a place like I've been there and hear a character like they're a separate person in my head, I know I've got it right. And finally, @Oath_Breaker has some general queries: Perhaps brainstorming or simply your opinions on fantasy in general or Dialogue? See above for my brainstorming :D. As for my ideas about Fantasy as a genre, I'm actually going to cheat and paste over part of my interview with Civilian Reader. CR: What’s your opinion of the genre as a whole today? 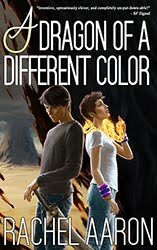 How do you see your Legend of Eli Monpress series fitting in with the contemporary fantasy scene? RA: I think we are living in a golden age of fantasy. Years from now we’ll look back with awe and wonder and talk about how good we had it. Thanks to the blockbuster titles like Harry Potter, Eragon, Twilight, and the Lord of the Rings movies, as well as the phenomenal success of fantasy video games, fantasy is coming out of the back shelves and into the spotlight. Fantasy, dare I say it, is cool right now, and it is staking a big claim in the YA and adult markets. This attention means more books and more publishing houses willing to take chances on new authors and ideas. It is a really, really exciting time to be a fantasy author and a fantasy fan, especially if you like YA fantasy. To answer the second half of the question, I’m actually not really sure where Eli fits in to this flowering of the genre. The Legend of Eli Monpress isn’t really epic fantasy because of the aforementioned lack of gritty battles and dark heroes, but it’s not pure Pratchett-esque comedy either. One reviewer described the series as feeling more like urban fantasy than a traditional swords and sorcery tale, and I think they hit it on the nose. The Eli books are fast and snarky with modern pacing (no slow grinding epics for me), but at its heart The Legend of Eli Monpress is a story about doing what has to be done even when you REALLY don’t want to do it. So, being a hero, which is a very traditional fantasy theme. I think that’s why the books have had a little trouble catching on, actually. They’re hard to pigeon hole. However, I maintain that if you enjoy the idea of a witty gentleman thief with a glib sense of humor, you’ll probably enjoy The Spirit Thief. If nothing else, the sword fights are killer. I worked really hard on them, and I still consider Josef’s fight with Coriano at the end of Book 1 to be the best fight I ever wrote. And my opinion now is still pretty much the same! As for dialogue, I'm actually really bad at explaining how I do it because I don't actually think about it. Dialogue is the easiest thing for me to write. My characters talk a LOT, and I generally have to cut dialogue from my books when they start running off at the mouth. Really, I think the key to good dialogue is good characters. If you have interesting people, they'll say interesting things. Just make sure you say in character, or your characters will all start to sound the same, which is to say, all start to sound like the writer. I do try to keep my dialogue sections as short as possible, though. Talking heads are no fun to watch. And that's it for Twitter Questions! I hope you enjoyed the answers! If you have a question you'd like me to answer about writing, publishing, Eli, or anything else in the pro-author sphere, feel free to post them on Twitter to @Rachel_Aaron or just send them the old fashioned way through my contact form.